We went to Haig Road Market and food centre recently and wrote about the famous Putu Piring (Kueh Tu Tu) review, it was not the only thing we tried, we were attracted by the fragrance of the food from the table next to us, it was two uncles tucking in the nasi goreng and mee hoon goreng, the tantalising smell simply too tempting not to give it a try and finally we got ourselves a Mee Hoon Goreng with Ikan Bilis (fried beehoon with anchovies) from the same stall as well. My mum couldn’t stop raving about how she tried the same dish before at a different stall and mesmerizing taste and the fragrance. I didn’t believe it though. 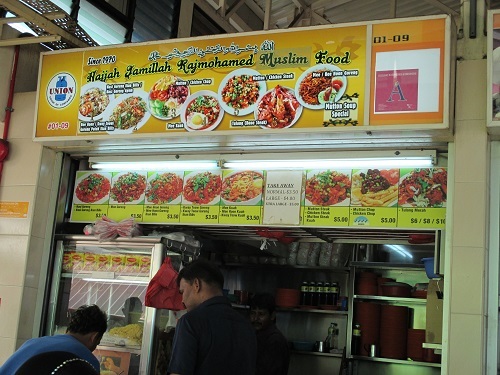 I mean, how fragrant can mee hoon goreng be? Such a simple dish, it can’t be that fantastic. 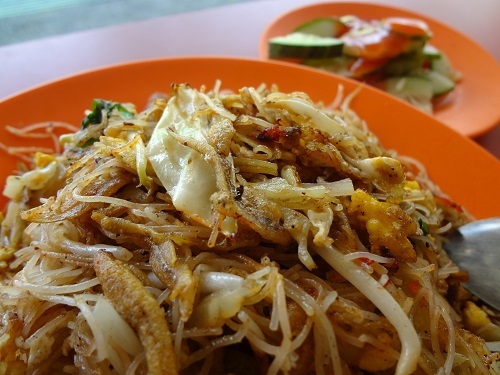 When the plate of mee hoon goreng was presented to us, even though it didn’t look very fantastic, the scent of the mee hoon goreng immediately caught my attention. It smelt pretty good. Still thinking that it was just some average mee hoon goreng that I have on a weekly basis, and couldn’t be bother to snap a few shots (Yes, the photos that you see are missing a couple of bites) simply thinking it was not worthy of a review and I was wrong, a few spoonful of the mee hoon changes my perception quite a fair bite. 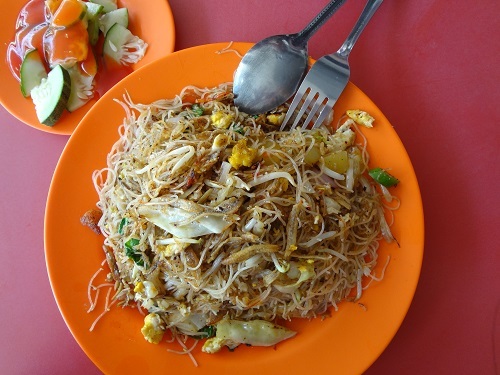 No doubt there is better mee hoon goreng out there, but if you’re in the vicinity and couldn’t decide what to eat, do give it a try so not to miss out little nice thing in life! 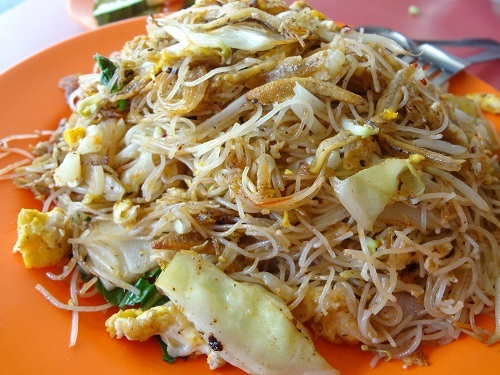 Do you cater your Mee Hoon goreng for abt 140 pax. How much is your cost. How about delivery? My location is at Middle Road for an Indonesian church function. Sorry, we are not the food caterer but food reviewer. You can make inqury with the stall directly. Thanks.